Because a garage door is often the centerpiece of a building and covers a large visible portion of a building exterior, its design has a noticeable effect on the overall appearance of the structure. This consideration of appearance motivates many of our clients to rely on the custom garage door design services that GarageDoorsStore offer. Through customizing the designs of the garage doors of homes and businesses, GarageDoorsStore professional designers assist our clients in implementing their personal styles into the overall aesthetics of their residential and commercial properties. We stock a wide range of materials to help our clients plan and realize their visions, including imported wood, brushed aluminum, transparent materials and composites. 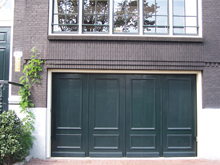 Custom garage doors created by the GarageDoorsStore fabrication facility are built with high-quality components and hardware, and they are as durable as the custom garage door types we offer. Among the specialty profiles that our facility is capable of constructing to suit the specific needs of our clients are custom overhead garage doors, bifold and trifold garage doors, bar-inspired garage doors, and swing garage doors. Custom built garage door systems not only provide easy access and strong protection, but also surpass the normal utilitarian function of a door and improve the overall design and appearance of a residence or commercial building. Because GarageDoorsStore realizes that security is crucial to residences and commercial facilities, we stock an array of high security door locks. These heavy duty high security locks are suitable for outdoor use, and they efficiently provide added protection for your vehicles and other stored materials by giving you the ability to efficiently control the access points of your garage space. 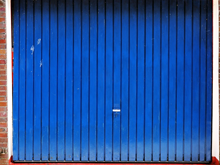 For clients who need efficient but cost effective specialty door security, GarageDoorsStore offers an array of security grilles and heavy duty shutters. These inexpensive and lightweight security options provide protection and access control that make it possible for our clients to secure valuable items in commercial facilities or storage areas that do not require temperature regulation or full safeguarding from the extremes of weather.